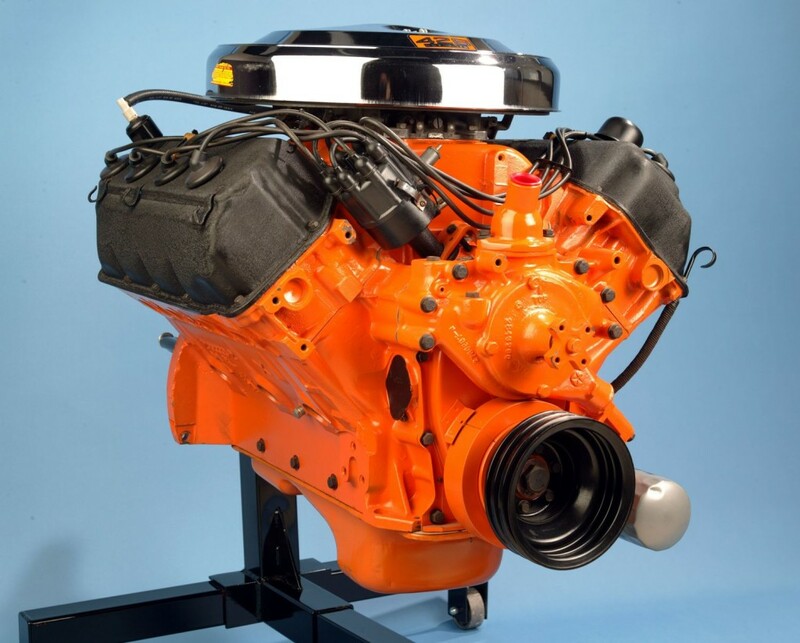 When the 426 Hemi was introduced to the racing world in Richard Petty’s stock car, everyone took notice. 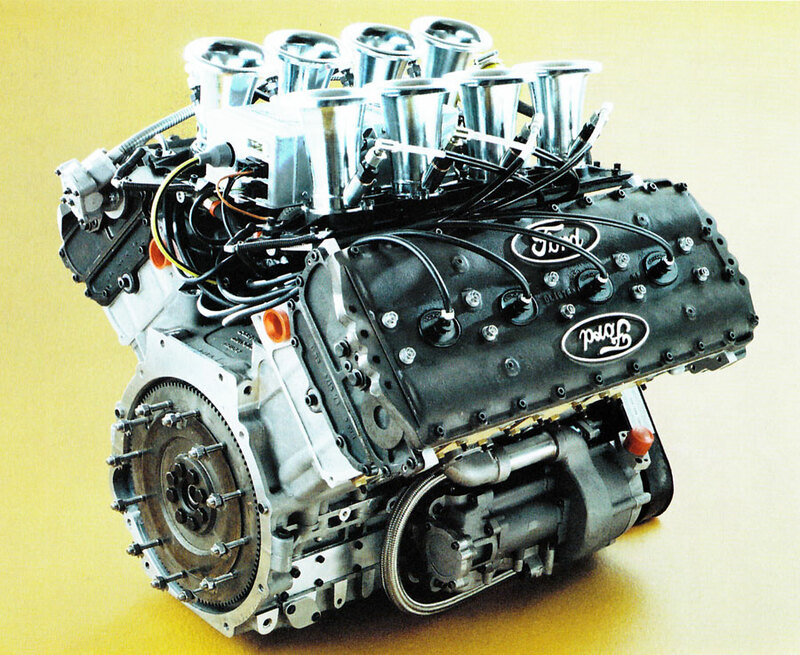 The engine itself was so capable that at Daytona in 1964, it finished 1-2-3. It was so powerful that the governing body changed legislation, forcing constructors to homologate their race car engines into road cars. This didn’t stop Chrysler. The subsequent street version of this motor featured a lower, 10:25:1 compression ratio, milder timing and revised intake and exhaust manifolds. This mild change allowed Chrysler/MOPAR to return with the 426 to NASCAR and reeled in gobs of wins. The 426 Hemi in street guise was released in most Dodge and Plymouth sports cars, but the racing version was available in the limited-edition 1968 Dodge Darts and Plymouth Barracudas. Each of the aforementioned models received 75 race motors. Chrysler offered cars with the 426 in different wheelbases, which incidentally led to the introduction of the Funny Car. In fact, all Funny Cars run some variation of the 426 Hemi nowadways, even if it has been rebadged. The iconic 351 Windsor began production in 1969 and spanned three decades. The engine was first fitted into the Mustang Mach I with two-barrel and four-barrel configurations, though the oil crisis of the 1970s relentlessly clipped its wings, feather-by-feather. At the close of the seventies, the heads from the Ford 302 adorned the 351 Windsor, but there was promise in the following decades. The eighties and nineties saw the motor come back, rebadged as the Ford 5.8. The most powerful variant was found in the 1995 Cobra R, which produced an impressive 300 horsepower. Though it was only a climb in 50 horsepower from the original two-barreled version, the huge aftermarket robustness made it a household name with so many muscle car aficionados. Any enthusiast worth their salt has a precursory understanding of GM’s gen, the LS1. Lightweight, potent, readily-available, torquey and willing to make modifications, the LS1 has kept GM relevant in so many different circles. The motor first made its appearance in the C5 Corvette and later in the contemporary F-bodies, but over the years the LS platform has been revised and implemented into GTOs, Corvettes, and a host of other vehicles, including many trucks. The aluminum composition made it a relatively light motor, and a coil-near-plug ignition improved spark delivery. With their reasonable pricing, huge aftermarket, and wide powerband, they’ve made a hug impact on the drifting world, plus there’s a huge demand for them for drag racing. 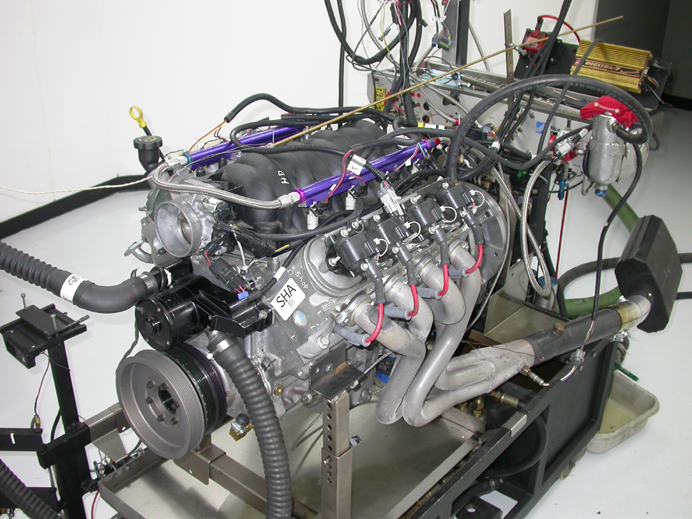 No question, the LS1 is a powerhouse that appeals to all sorts of auto-junkies the world over. When money was abundant in the early 1990s, Toyota went to extreme lengths to design a motor capable of competing with Nissan, Porsche, and Chevrolet. Their experience in the high-end performance car market had been limited prior to the release of the MKIV Supra Turbo, but with their over-engineered 3.0-liter twin turbocharged inline-six, they solidified their place in history. 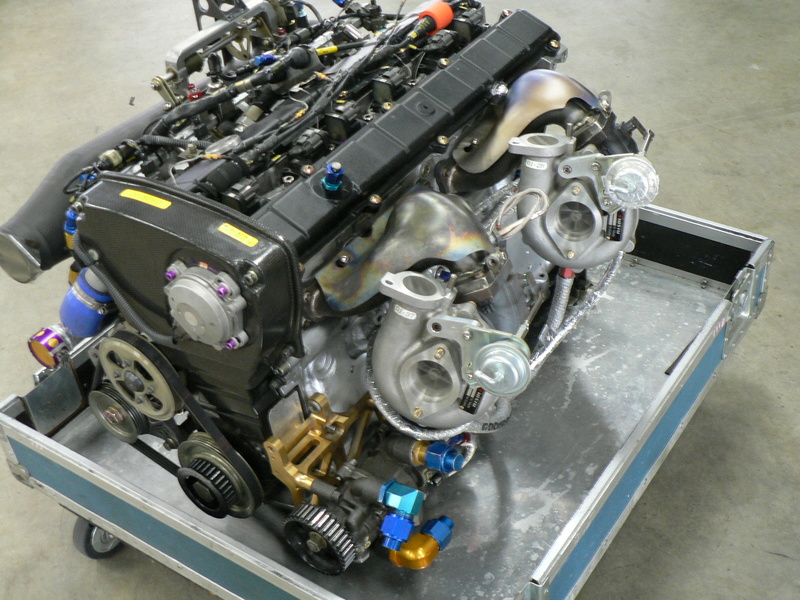 The 2JZ-GTE, designed largely by Yamaha, made well-over 320 horsepower in stock guise, though with some minor tuning, the motor was capable of making 450. 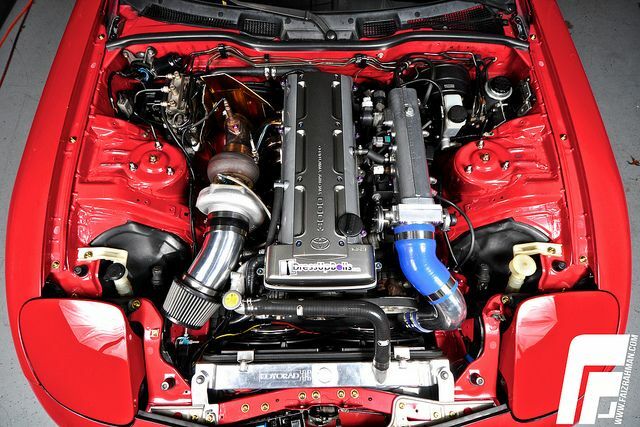 This particular engine helped build the import craze in the states, making the Japanese turbo motors something relevant outside of the import tuner circles. With a sturdy iron block, it was too heavy for professional road racing. 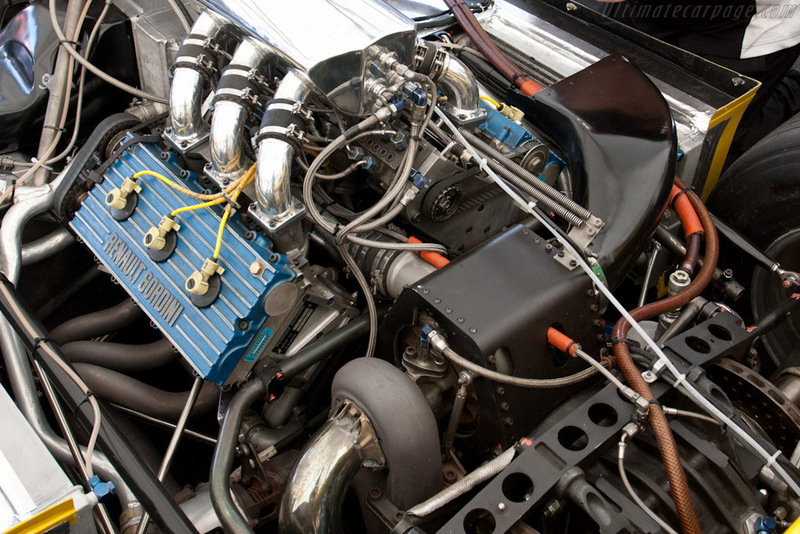 However, its willingness to take boost made it a major player in drag racing and drifting and caused lifetime Chevy and Ford fans to respect the potential of the robust little six-cylinder. Initially designed for the 911 GT1 racing car, the Mezger flat-six became synonymous with Porsche high-end performance. The basic engine, sans turbochargers, was used in the road-going 911 GT3 and GT2 RS. In addition to being one of the first water-cooled motors from Porsche, the Mezger also featured a true dry-sump oil system. In order to avoid oil starvation, oil is harvested with two scavenge pumps from the GT1-derived crankcase. Critically, it did not suffer from the IMS bearing failures like the standard 911 engines did, and utilized more comprehensive oil gallery lines that enabled supreme lubrication in all sorts of conditions. In its ultimate street-going configuration, the Mezger made 500 horsepower – something incredible from a four-liter, normally-aspirated engine. This particular motor played a big part in making the GT3 one of the premier road-going sports cars. With Formula one changing its focus towards aerodynamics in the mid-sixties, Ford cleverly introduced an affordable, reliable, and interchangeable motor with their DFV. The 3-liter V8 produced somewhere around 400 horsepower and 280 lb/gt of torque and over the three decades it was in use, went north of 500 horsepower and 11.200 revs. It’s availability and general effectiveness meant it was used in Formula One, sports cars and Formula 3000. It was also relatively cheap at $120,000 in modern money. Considering how racing engines usually cost that just to have the heads redone, it was a bargain, and importantly, allowed privateers to enter the world of motor racing and be competitive. Young upstarts with a bit of funding could take it to the big manufacturers and while it was never the most powerful engine out there, the DFV had the potential to win races. And win it did. 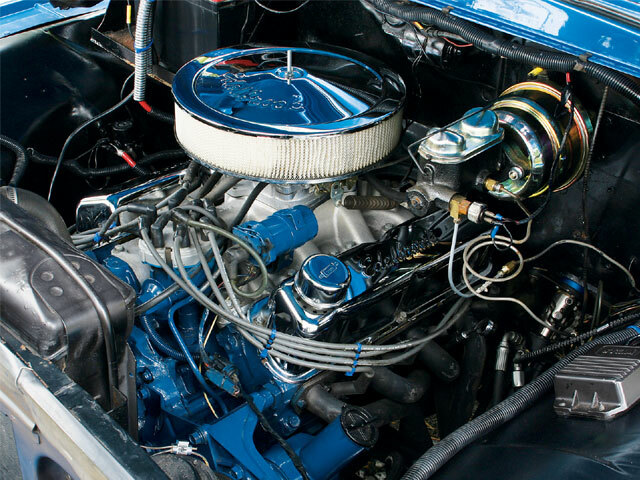 As the dominant engine of the 1970s, the Ford had certified itself as more than just a budget motor. The DFV (and the later DFY/DFR) was incredibly well-balanced and reliable, provided enough power and could be replaced without much fuss. By checking all the boxes and while not the best in any particular category but proficient in every one, it became immensely popular and most importantly, very successful. Unfortunately, it’s reign in Formula One ended with the development of the turbocharged motor. Renault introduced the turbocharged engine to Formula One in the late seventies, only to be met with derision. The EF1 was single-turbocharged V6 based off an engine had been used in some of their sports cars the year before. With the addition of boost and a reduced (1.5 liters) capacity, the motor was, initially, near undriveable. It also got the nickname of “The Little Teapot” because of its tendency to explode and discharge white smoke out of the tailpipes. However, Renault persisted and with the addition of smaller twin turbochargers, a pneumatic valve train and revised engine management, the power slowly climbed over the years. Starting with somewhere around 500 horsepower, the motor became podium-worthy within a year after some revising, and won its first race at the 1979 French Grand Prix at Dijon. As the eighties moved on, Renault had changed the minds of its detractors who had since been working frantically to build a competitive turbo motor of their own. By 1986, the Renault Motor produced somewhere around 850 horsepower in race trim and 1,200 in qualifying. Though it never won a championship, the Renault EF1 and all its evolutions were competitive, race winning and most importantly, revolutionary. Had it not been for Renault and its insistence on pushing new technology, Formula One of the 1980s would have been quite different. 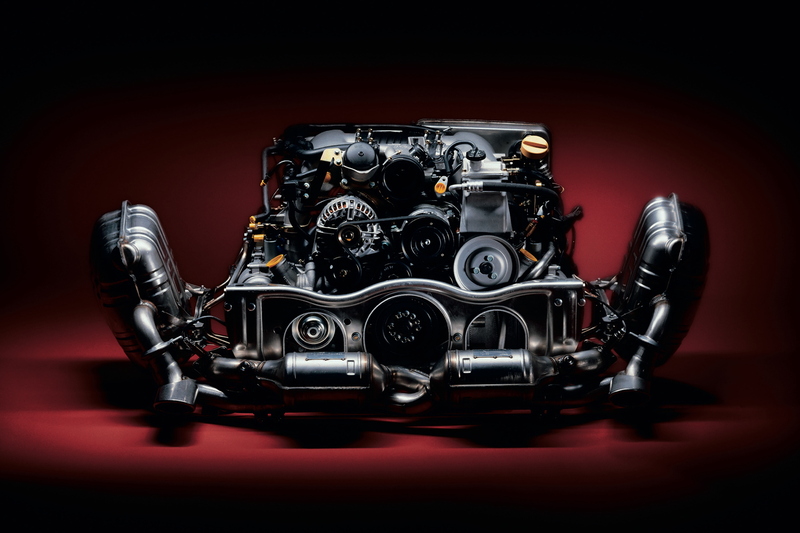 Though Nissan’s inline-six is famous for the road cars it powered, it was a controversial powerplant when first introduced into the race-bred Group A GT-Rs of the late eighties and early nineties. Though based roughly off a Nismo version of the engine of road-going R32 GT-R, the Group A GT-Rs used a strengthened block, revised turbochargers, improved water and oil channels and upgraded camshafts to make 600 horsepower at 30 pounds of boost. Coupled with the innovative ATTESA E-TS four wheel-drive system, the GT-R decimated its V8-powered rivals and won every race in the 1989 Group A season. In 1993, the Australian Touring Car Championship banned the use of turbos and four wheel-drive systems, citing costs were too high, but reputed rumors of GM threatening to leave if it wasn’t done was the likely culprit. Nowadays, the turbochargers are no longer seen in the top tiers of Australian motorsport, but had it not been for the overwhelming dominance of the GT-R and its RB26 engine, it may have been different. Mazda’s persistence with the rotary engine is nothing short of amazing. Despite its limitations, Mazda seems to value the lightweight, compact rotary and has thus developed it for racing, with its crowning achievement being the victory at Le Mans in 1991 with the 787B racing car. That year, the 787B embarrassed the 3.5-liter, piston-driven competition with its 4-rotor, 2.6-liter R26B motor. The R26B was built on the foundation of the 1.3-liter Wankel engine used in their RX cars but with peripheral intake ports, continuously variable geometry intakes and an additional (third) spark plug per rotor. 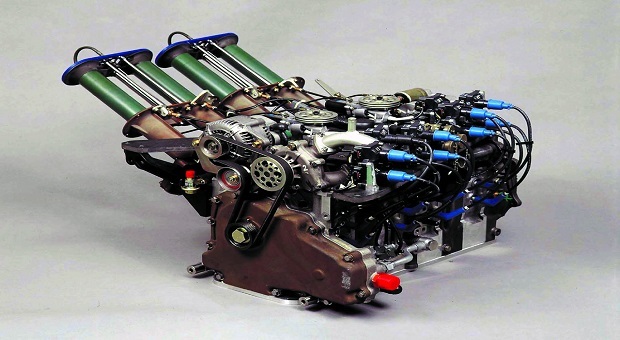 This miniscule engine outputted somewhere around 930 horsepower, as claimed by Mazda, but was limited to 700 horsepower in race trim for reliability. The motor’s dimensions and power output allowed it to win at Le Sarthe in 1991 and remains the only non-piston engine to have won the 24 hours of Le Mans. After decimating the competition, the Wankel engine was deemed illegal and the R26B continued to race with limited success, eventually getting phased out a couple years afterwards. The turbo-era of Formula One was known for huge power outputs and escalating costs, but the real determinants of success were reliability, economy and tractability. The Porsche-TAG motor was never the most powerful engine in the field but it provided some of the best all-around performance in the field. 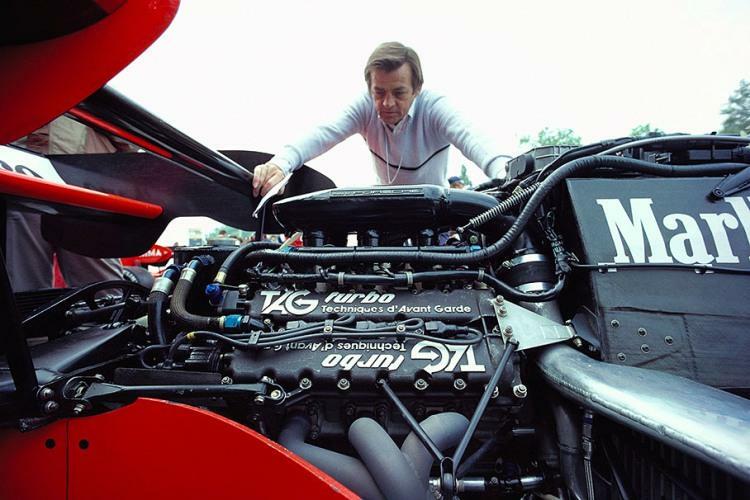 It was groundbreaking amongst the turbo engines in that it was integrated into the chassis, making it a stressed member which bore some of the cornering loads. It was also aided by the addition of an Bosch Motronic engine management system and clever architecture which reduced frictional losses, crankcase vibrations and oil pressure. With only 1.5 liters, the diminutive engine could still produce upwards of 900 horsepower and stood to be one of the most reliable in the field. It’s linear power delivery also made it good in the tire-conservation department. In an age where leaders would often retire due to engine failure, the Porsche-TAG’s reliability made it outperform some of the more powerful competitors and ultimately racked up three drivers championships. If anything, the Porsche-TAG motor showed that there was more to winning than just engine output. The primary competition for Mazda R26B at LeMans in 1991 was the heavily favored Sauber Mercedes C11 with its 5.0L twin turbo V8 and the TWR Jaguar running 7.4L NA V12. All entries were given a fixed fuel allotment and thus many ran to less than full power potential to conserve fuel. This was the primary reason for Mazda short shifting the R26B, not reliability concerns. Jaguar, most notably, was greatly hampered by fuel economy concerns and the big V12s were never really able to flex their muscle. The Sauber Mercedes were the class of the field in 1991, but were all struck with mechanical issues. For 1992 the regulations for the C1 class at LeMans were changed to mimick the FIA WSC 3.5L NA rules that were introduced in 1991 for the WSC. None of the earlier engines were outlawed outright, including the Mazda rotary, but they were effectively obsoleted by the new 3.5L formula. If you wanted to compete in the top C1 class, you had to run 3.5L NA conventional piston engines. The rules were again altered to allow alternate configurations and the rotary has since returned to LeMans on several occasions, with limited success. The rotary ban at LeMans is simply an urban legend that rotorheads love to try to hang their hat on. “It was so good, it was banned.”. Simply not true. Jets are by no means banned by the NHRA but they are strictly limited by thrust and speed. but that is another controversy entirely. but they haven’t been seriously run in America in a long,long time. Rocket car ‘ Pollution Packer’ driven by Tony ???? went like 450 mph in 3.4 seconds in the quarter mile when Top Fuel cars were in the 6’s @ 250 in the ’70’s. He died running that car. You have your numbers backwards. The picture for the top and bottom entries are the same. in a propellor driven plane…. How diferent it would have been if Fords 427 Cammer would have been aloud, overhead cams and more than 200 more horsepower than a 426 Hemi. How different modern engines would be now? Yep, but Nascar couldn’t have Ford upstaging their golden boy Petty, could they??? It actually came down to ‘what was stock’ in reference to what the public could buy. Petty drove a ‘cammer’ once and said it was the most powerful car he had ever driven. Cammers had a serious problem with longevity, too. In the late 1940’s Chrysler engineers wanted to find the most detonation resistant combustion-chamber design they could for their forthcoming new line of engines; and ‘voila’ the German ‘Hemi proved the one with the largest surface area in relation to chamber volume worked best. The rest is history. As I recall, the hemi head Chryslers had a terrible detonation problem. Lack of quench area caused the flame front to propagate extremely fast. The lack of 100+ octane pump gas was what eventually spelled doom for them in passenger cars. Leaving out the small block Chevy borders on heresy.